Our lion mascot, whose official name will be announced tomorrow, practices the core value of tzedakah. Thank you to all families participating in Give to the Max Day. What a great show of support for Heilicher! 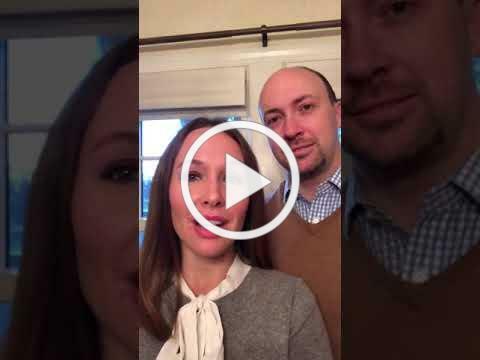 Heilicher Annual Fund Chairs Sara and Aaron Riedel explain how you can help Heilicher on this Give to the Max Day. Make your gift by midnight to help Heilicher win cash prizes and meet our $5,000 goal. Thank you in advance for your generosity! Tuesday, November 27 - Grade 6-8 Middle School Retreat, 9 a.m-3 p.m.
As winter weather is now upon us, please make sure your child has appropriate winter gear at school. Please provide a warm winter jacket, snow boots, snow pants, hat and gloves or mittens. We go out everyday, with exceptions made for extreme weather conditions. Please label all gear with your child's name. Also, our Lost & Found is already overflowing. Please be sure to check the Lost & Found for your child's missing items. Join us for the Heilicher Minneapolis Jewish Day School Parents Only Hanukah Night on Thursday, November 29, 7-9 p.m. Wear your ugly Hanukah sweaters or come as you like for latkes, dreidels, gelt, and good times. At the home of Elly and Mike Zweigbaum. RSVP to Elly Zweigbaum. Winter may be on its way, but scholarships for summer camps are now available online through the Minneapolis Jewish Federation. Other scholarship sources for summer camp may include synagogues, JFCS, and the camps themselves. A Call for Sleds - Thank you for the winter sleds you have donated. We are still in need of additional winter snow sleds, so please consider donating them to Heilicher. Sledding is a favorite Heilicher recess activity that is made possible by you!